The main use for liquid nitrogen in this industry is for shrinking metal parts. For many applications where fitting is carried out by heating the outer components or force fitting, Liquid Nitrogen shrink fitting offers a better alternative for fitting. 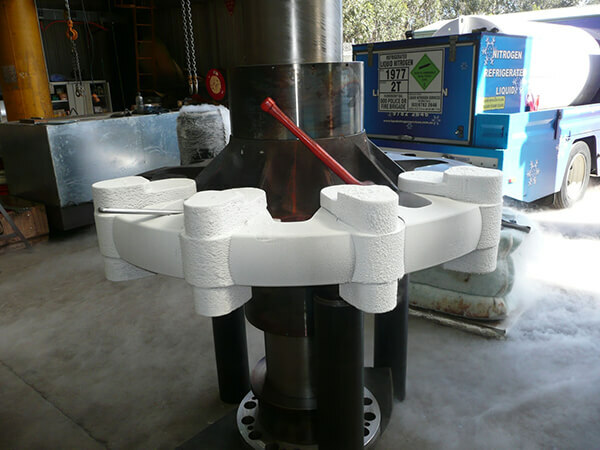 With Liquid Nitrogen Shrink fitting the necessary clearance is obtained by shrinking the inner component (instead of expanding the outer one). This is achieved by immersing the inner component in a bath of liquid nitrogen at a temperature of -196C. After assembly the inner component warms up, expanding to form a tight distortion free interference fit. Liquid nitrogen can be used in some digital equipment. Depending on the use and type of digital instrument will depend on the amount of liquid nitrogen needed and the setup. 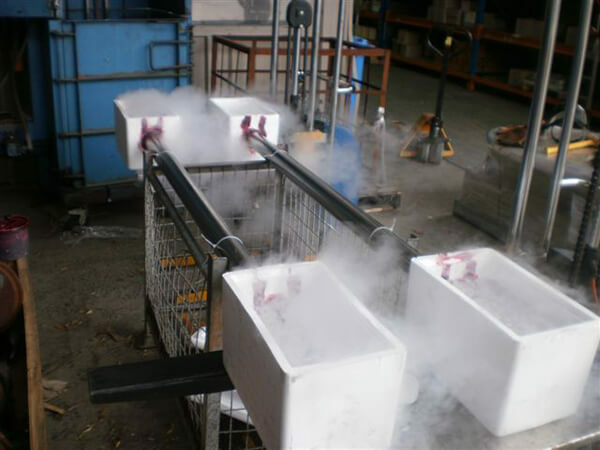 Some equipment require liquid nitrogen topping up to keep certain parts at a specific cooling temperature allowing the equipment to work at full capacity. Liquid nitrogen can be used through photography and projects alike. Snap freezing objects such as flowers creating liquid nitrogen illusions in the pictures. We can assist in the setup of these photographic projects and allow tasks to be completed. Aluminium, copper and copper alloys (bronze, brass, monel) are not significantly affected by low temperature of liquid nitrogen. Plain carbon-steel and low alloys steels are temporarily embrittled or lose impact strength at liquid nitrogen temperature and should not then be subjected to severe blows or shock. The steel returns to normal when it reaches ambient temperature again. Our highly trained staff has the necessary expertise to carry out Liquid Nitrogen shrink fitting in your workshop or construction sites if required.